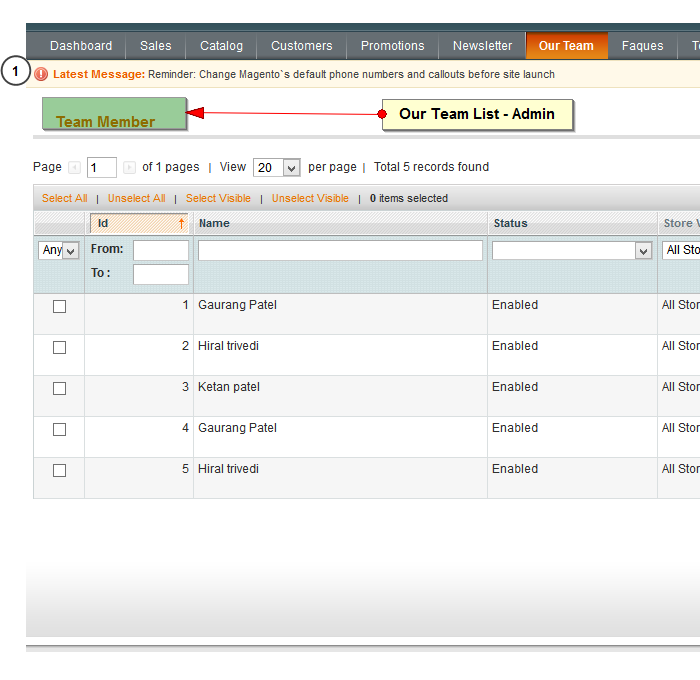 The Our Team Extension provides interface to display your company team on the website with ease. 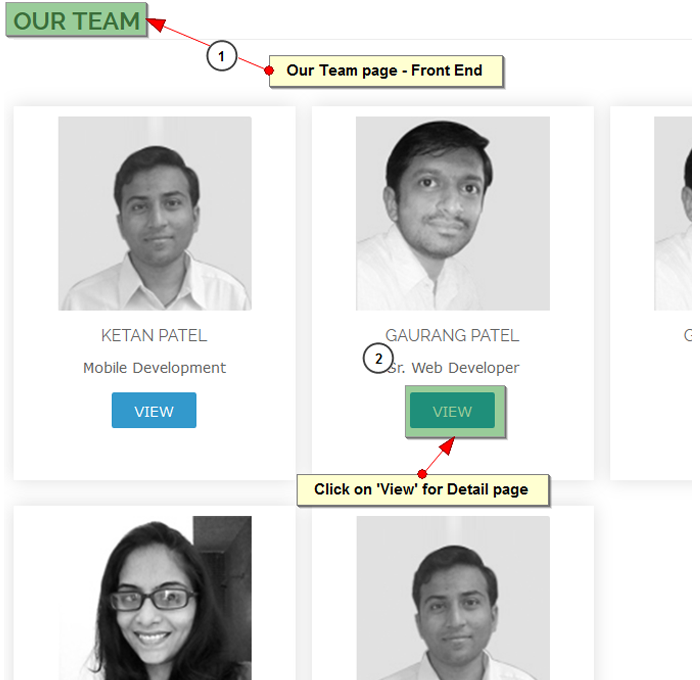 The Our Team Extension provides interface to display your company team on the website with ease.All you need to do is just enter Team Member details like employee name, image and description from the backend panel and page with team member details will be created for the front end. 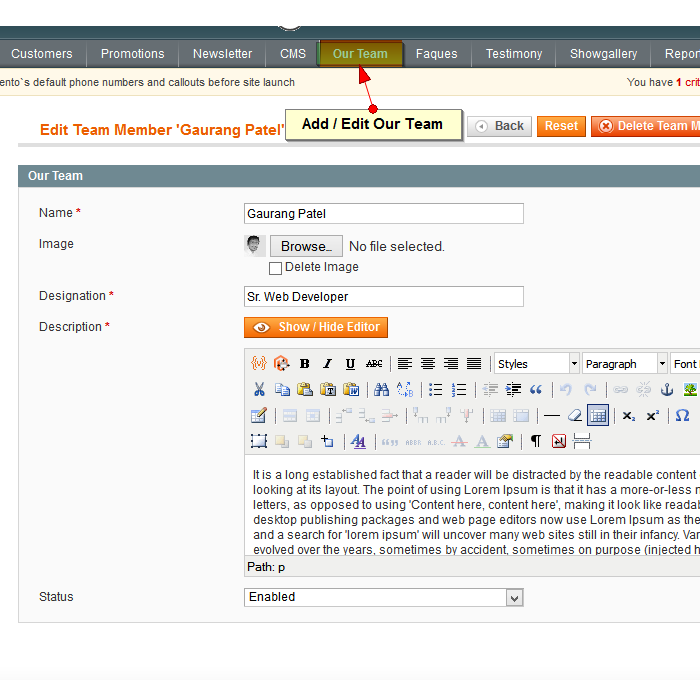 It is compatible with all Magento versions from 1.7.0.0,1.8.0.0, 1.8.1.0 or latest 1.9.0.0. 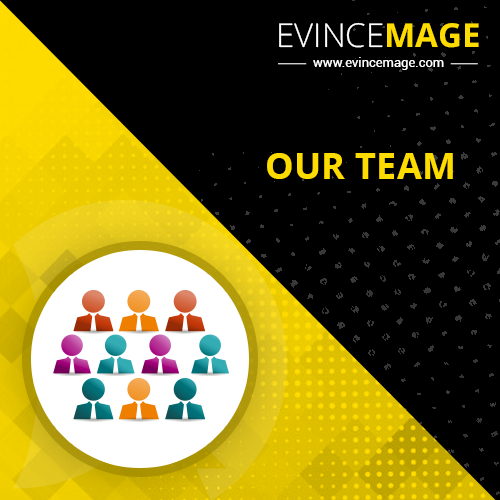 – Extension is support with latest CE Magento version.